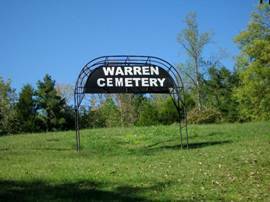 The Warren Cemetery is located in north Wayne Co. To reach the cemetery, travel Tennessee Highway 13 north from Waynesboro and turn left onto highway 228. Travel highway 228 for approximately 2.3 miles turning left onto Old Beech Creek Rd. 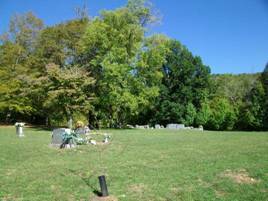 Travel approximately 2.6 miles and the cemetery is on the left upon the hill. Warren, Parlee; b. 30 Mar 1892, d. 01 Sep 1920, daughter of S.B. & M.C.